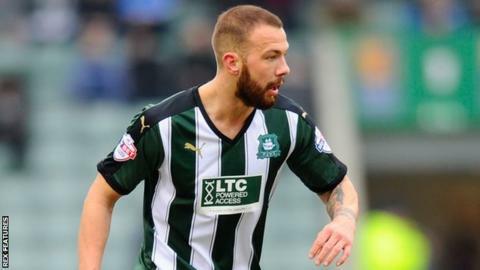 Plymouth defender Jordon Forster could return before the end of the month, after the injury he sustained at Barnet proved not as bad as initially thought. The 22-year-old loan signing slid into the advertising hoardings at The Hive. He was knocked unconscious in the incident, but has not suffered a broken jaw, which had been feared. "We're just waiting to find out how long he'll be out for, but I'm hopeful he can back this month," Plymouth manager Derek Adams said. But Argyle could be without striker Ryan Brunt for an extended period as he waits for confirmation on the extent of the knee injury he suffered in the same game. Brunt injured the cruciate ligament in his other knee in 2011 and had further knee surgery in 2014. "It's the other knee this time," Adams told BBC Radio Devon. "That's why he thinks it might be (his cruciate) because of how it felt at the time, but we'll await to see the consultant on Monday."